The globalization process and the demands of the creative economy, together with the growth of the art market have all had an impact on artist residencies. Ecological and geopolitical urgencies are now also affecting them more and more. In response, many residencies today actively search for more sustainable alternatives than the current neoliberal condition allows for artistic practice. 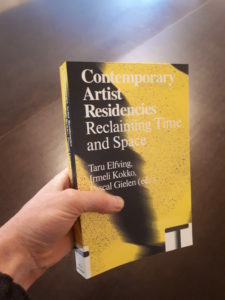 With a range of critical insights from the field of residencies, this book addresses the question of what the present role of artist residencies is in relation to artists and the art ecosystem amid transformations in society.